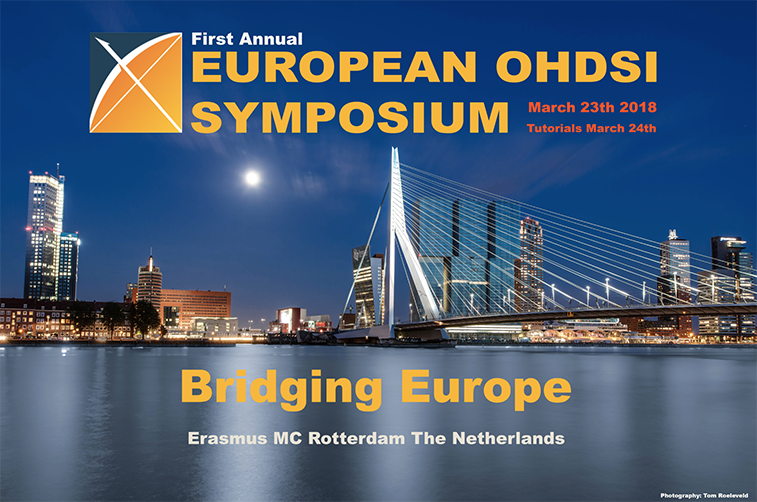 The first European OHDSI Symposium called “Bridging Europe” was held in Rotterdam on the 23rd and 24th of March. The Observational Health Data Sciences and Informatics (OHDSI) program is a multi-stakeholder, interdisciplinary collaborative initiative to leverage the value of health data through large-scale analytics, and it has established a global network of researchers and observational open-source health databases. 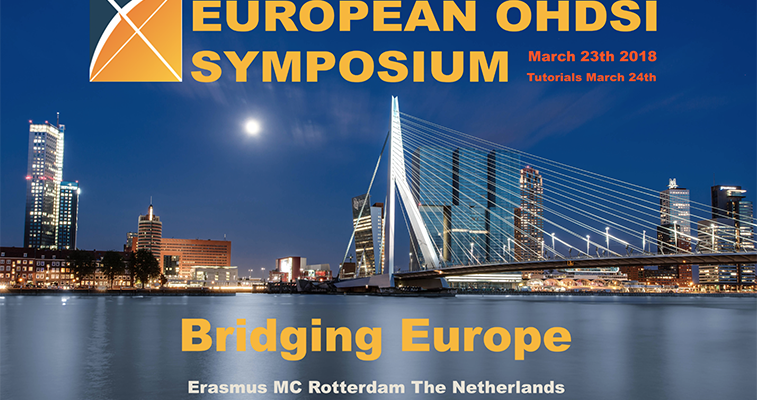 OHDSI Europe is led by the Erasmus University Medical Center in Rotterdam. Peter Rijnbeek (Erasmus MC), welcomed over 200 international participants that were engaged in different sessions and tutorials. During the Symposium, several posters were presented, some of them stemming from the EMIF (European Medical Information Framework) project. Noteworthy was the poster of the EMIF Data Catalogue, which is now available outside of EMIF to bona fide researchers. Synapse has been managing EMIF, an IMI funded project that has created an IT platform allowing access to multiple, diverse data sources. Nigel Hughes (Janssen), EMIF coordinator, has introduced the European Health Data Network, and OMOP Common Data Model and its adoption in future initiatives has centred the interest. “On the overall scope, the most relevant outcome of the symposium would be “building bridges” between countries, specialists (engineers, physicians, informatics), pharma industry, public institutions, patients organizations and governmental authorities, that created a rich and multidisciplinary environment for discussion”, explained Gloria Garcia (Synapse), who attended the event. More about OHDSI Symposium here.